Great alternative to our classic line. 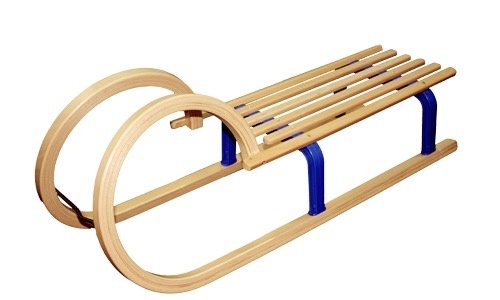 While retaining the aesthetics and durability, those sledges are really light. 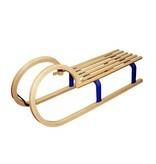 The shape of this sledge makes it look great and the rounded seat increases the comfort and safety of the user. We only source FSC certified beech wood materials from renewable forests. Seat slats are made from solid wood; runners are made with a bent plywood technique and the bridge is made from a high quality polymeric material. Metal strips on the runners are powder coated and joined with riveted fixings.